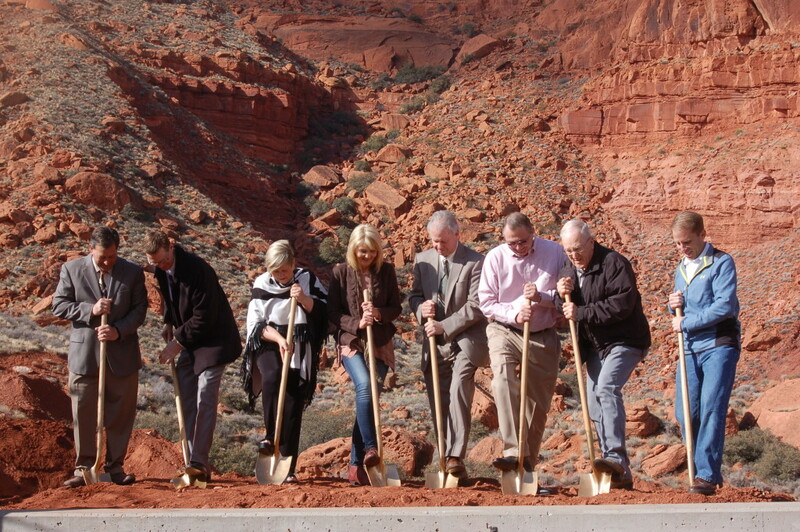 IVINS – It was all about vision Wednesday morning as members of the Tuacahn Center for the Arts board of directors and staff joined with Washington County and area municipality dignitaries as well as members of the community in breaking ground on the new Arts Center set to be completed this summer. 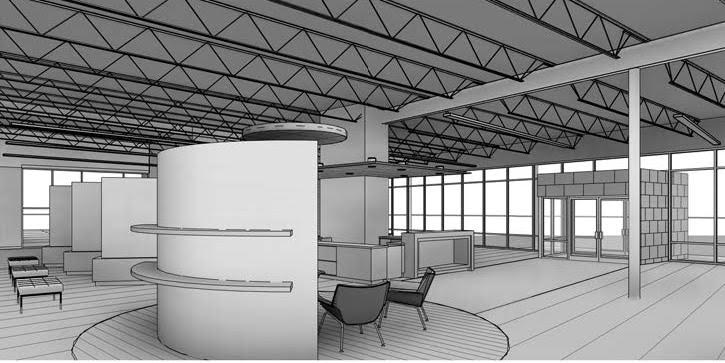 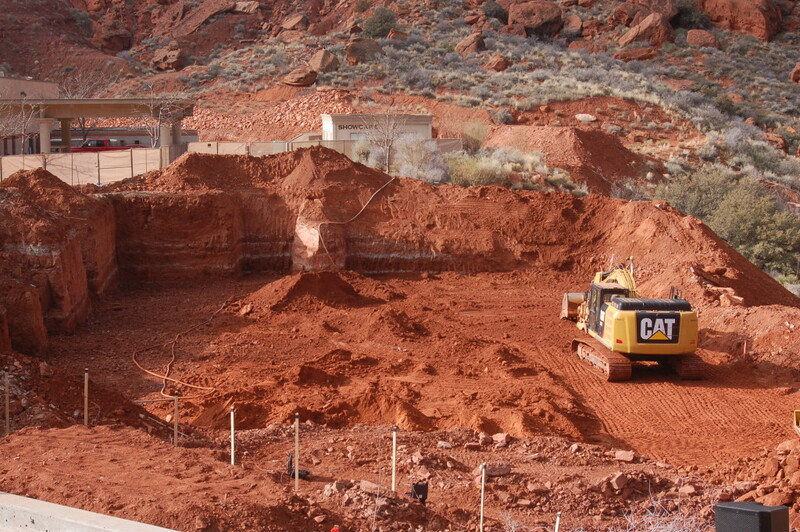 The two-story, 19,000-square-foot building is one of many upgrades to the Tuacahn facility to take place over the next few years. 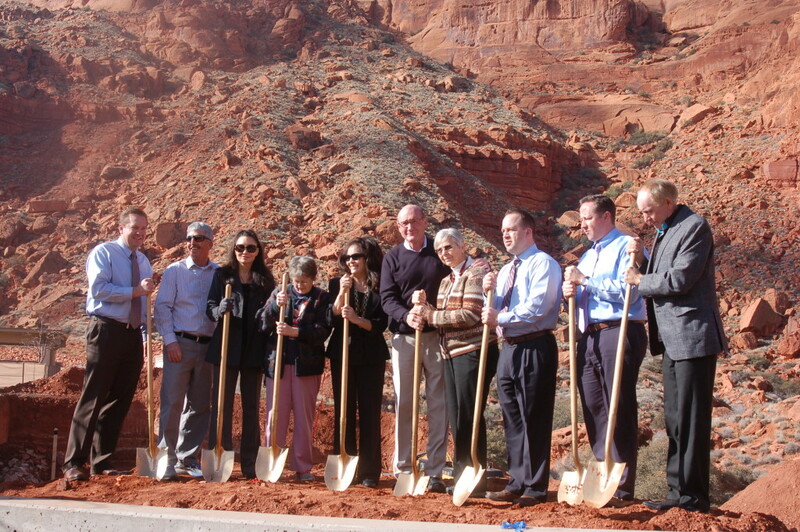 It was made possible by both private donors and $325,000 in annual funds committed to Tuacahn through the county’s recreation, arts and parks tax revenue as well as the transient room tax. 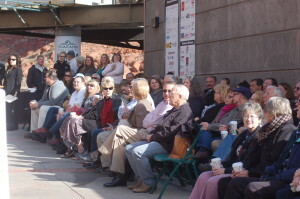 The new arts center will house an expanded gift shop; space for the center’s ShowCare amenity, which will offer child care service while parents enjoy Tuacahn shows; a possible café on the upper level; dedicated indoor rehearsal space for Tuacahn’s “Broadway in the Desert” productions as well as other arts groups; and extra storage on the lower level. 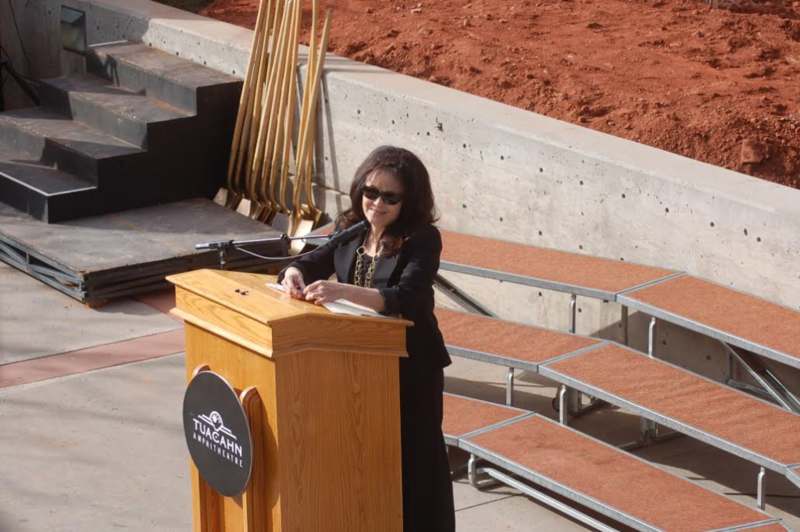 The mood at Wednesday’s groundbreaking ceremony was both celebratory and sentimental as many who spoke reflected on the visionary, yet often difficult, beginning for the center. 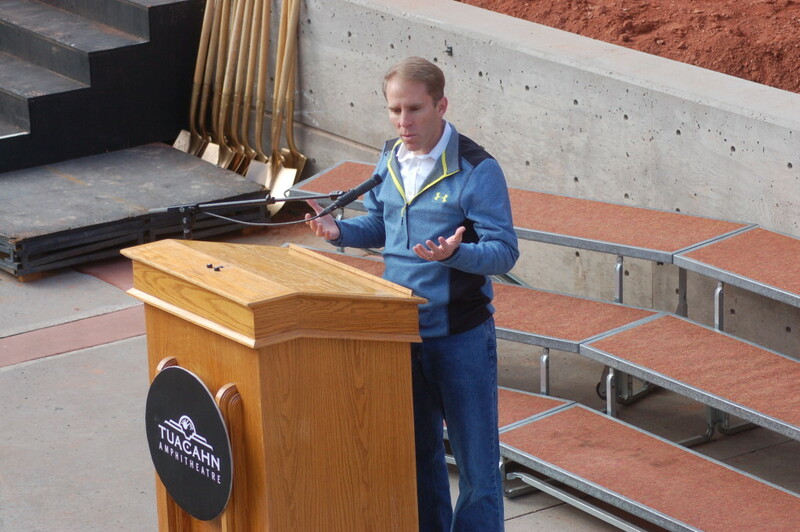 In the beginning, they would see maybe 500 or so people a night in the 2,000-seat amphitheater, Tuacahn’s board of directors Vice Chairman Hyrum Smith said. 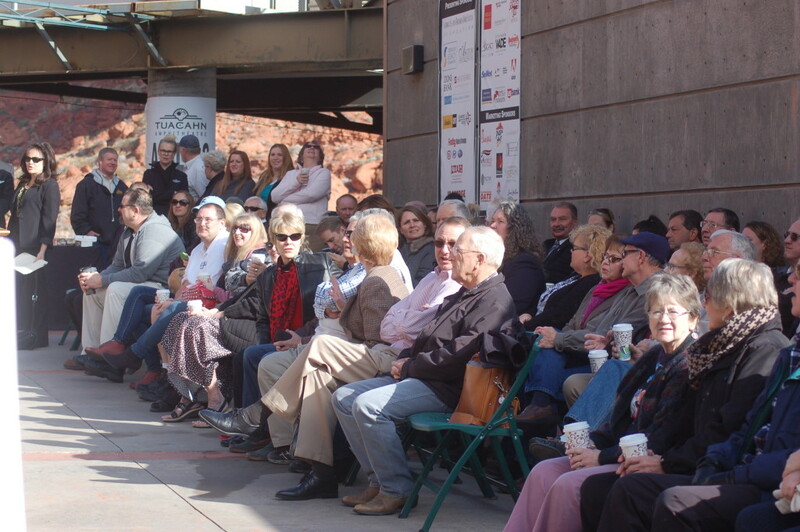 Today, the facility attracts approximately 265,000 people annually who come to see the professional Broadway-style productions. 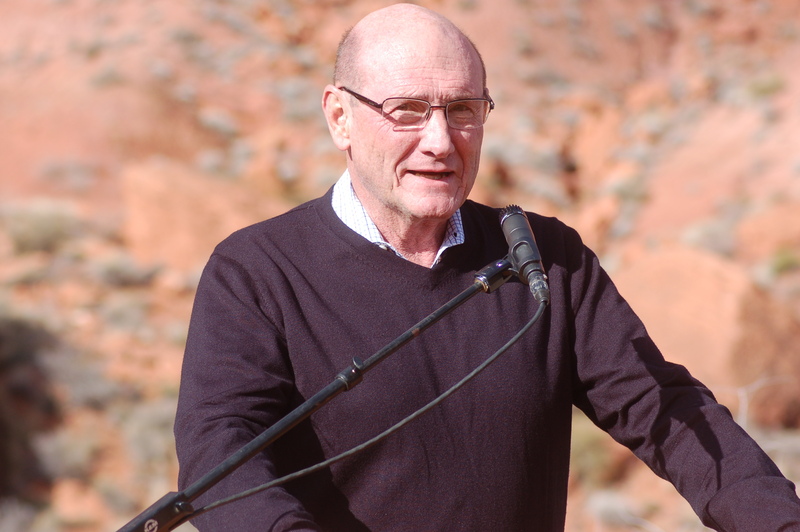 Both Cox and Hyrum Smith have been with Tuacahn since its vision and inception – about 20 years, Cox said, adding that it has been a real honor to watch it grow into a world class theater. 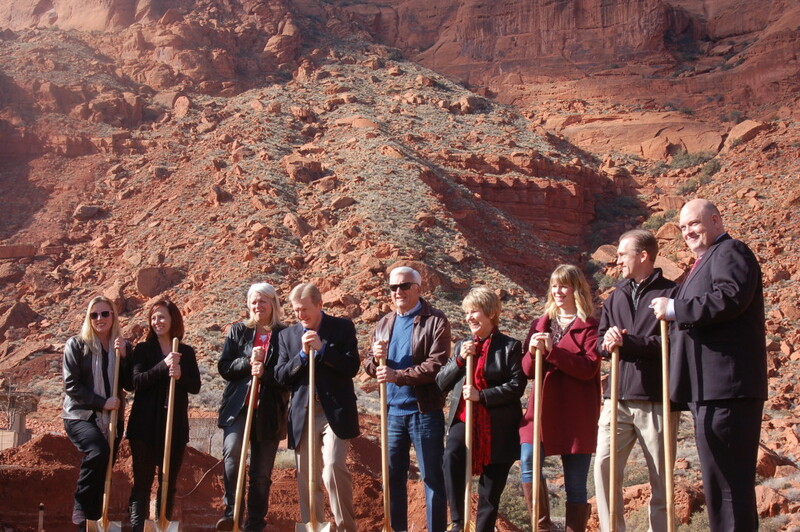 Tuacahn Center for the Arts is a major contributor to Washington County’s economy, bringing in about $80 million a year, second only to Zion National Park, a news release for the groundbreaking ceremony said. 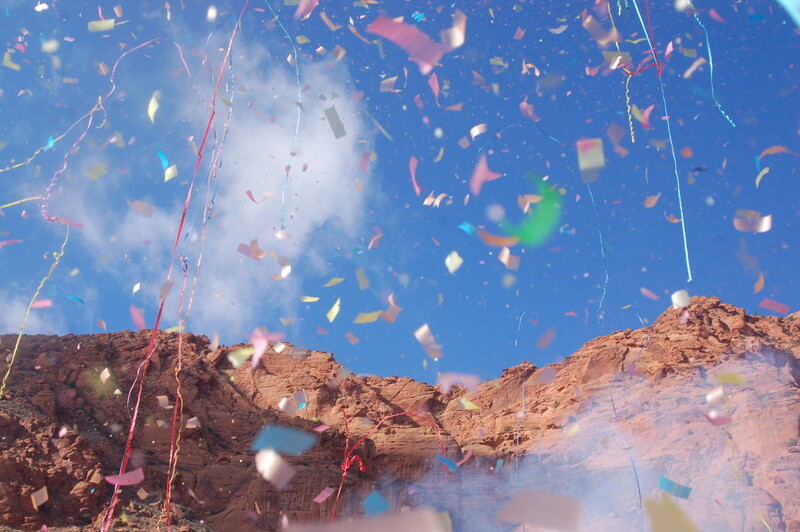 In addition to its contribution to the economy, Tuacahn is a leading contributor to and promoter of the arts in Southern Utah. 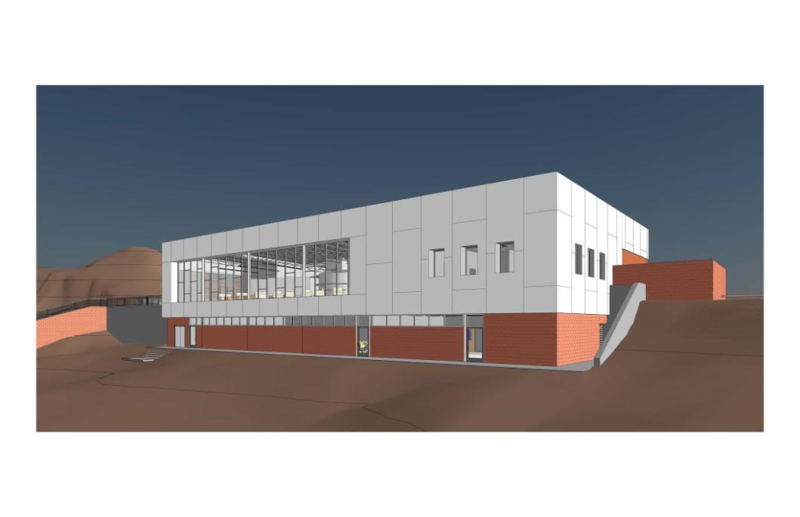 The new facility will help ensure its ability to continue to attract high-caliber performers to the area and to fulfill the mission statement of the center. 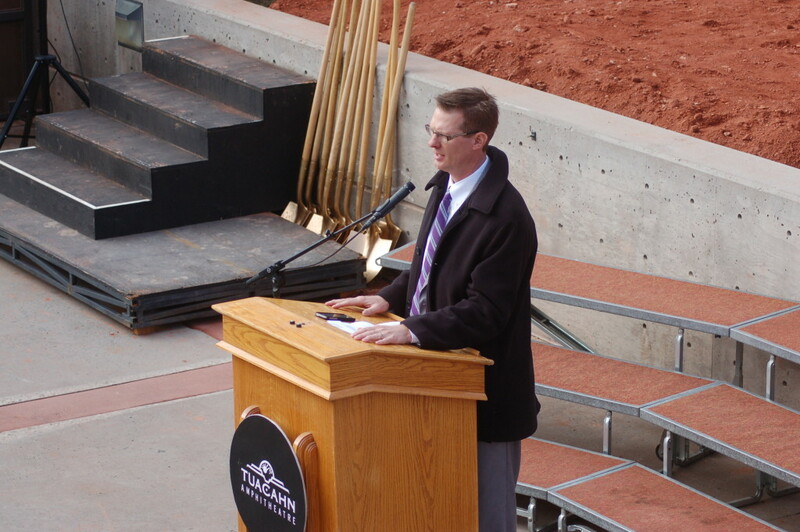 “I hope that what we do matches the majesty of the place,” Kevin Smith said in his address. 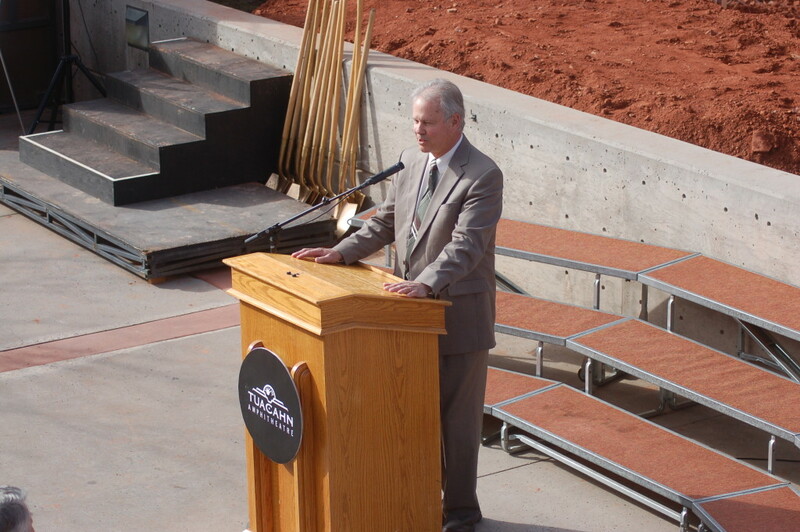 Ivins City Mayor Chris Hart and Washington County Commissioner Zachary Renstrom also spoke at the ceremony, praising Tuacahn for the magical place that it is and emphasizing the necessity of the expansion as well as continued support for the facility in general. “If we don’t keep expanding it, we are robbing our children,” Renstrom said in his address. 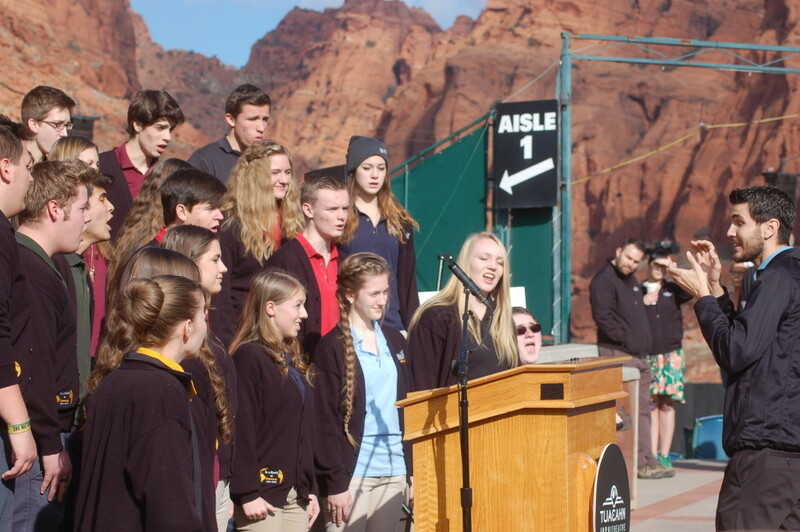 For now, the future of Tuacahn looks bright. 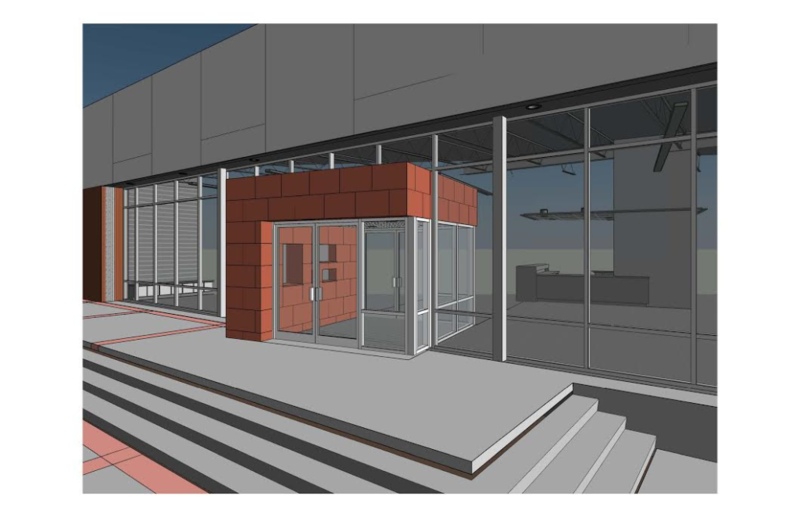 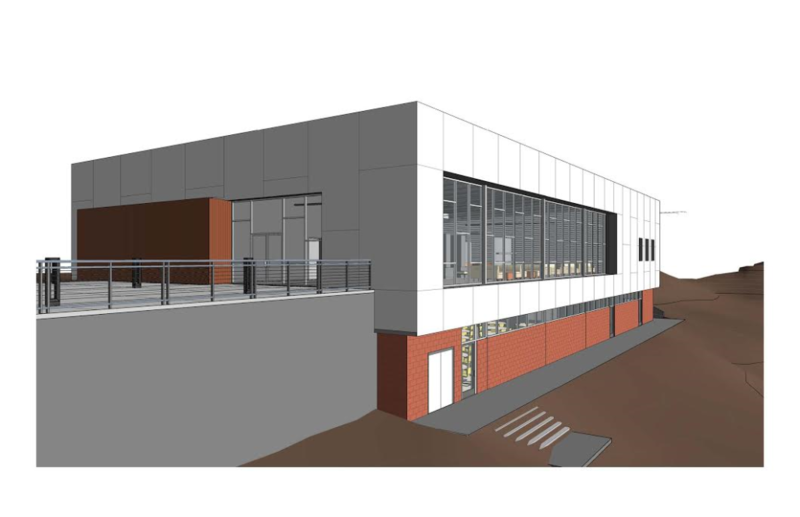 Watts Construction is the contractor for the new Arts Center which is set to be completed near the end of July, project manager Val Olsen said. Well, if they can afford this why are they always begging for public tax money and crying poor?